April 2, 2019 - Posted in General Announcements by Miriam X. Here is an interesting story. The KFAI music library is so full of CDs that it is practically overflowing onto the floor. We have boxes and boxes of new submissions that have not yet been organized into the library. So, I just started digging into them the same way I used to finger through used record bins. I’d just go by the album cover art, the name of the band or the name of the album. If one of these three items captured my attention, I sampled it to see if would qualify to be on the Fun Time Music Festival playlist (I have very strict standards 😊). 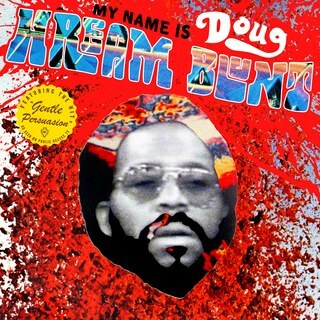 One of the CDs that caught my attention was by this guy named Doug Hream Blunt. I looked up Doug online to see what he was all about. Doug had been working as a male nurse at some senior care facility in San Francisco and had almost no musical experience. He took a music class and learned how to play the guitar. 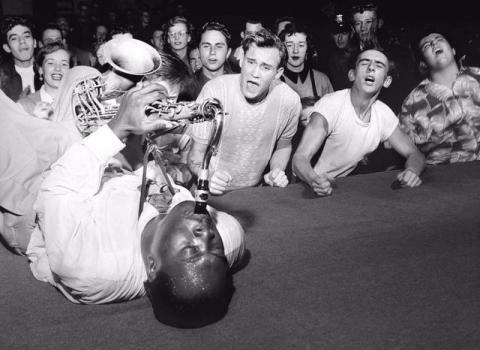 He got some of his classmates to join him and he created a music ensemble. They would would go and play at the senior facility where Doug worked. Now, I know that is not likely to entice anyone to check this guy out, but at least give this video a chance. It is really a kick. If you want more kicks, be sure to check out The Fun Time Music Festival here on KFAI.org or on the KFAI mobile app.